I joined Barlow Robbins in 2015 as a Trainee Solicitor, where I gained experience in our litigation, corporate, employment and commercial property departments. 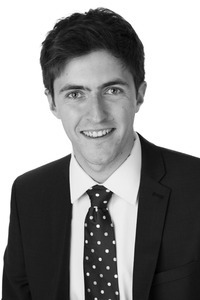 I had previously studied history at Durham University and completed the LPC at the University of Law in Guildford. I am now a solicitor in our corporate and commercial team, working with businesses and their owners on all matters of company law from incorporation through to exit and everything in between. My experience at Barlow Robbins has particularly focused on corporate transactional work, but I have worked on a variety of matters ranging from the issue of loan notes and option schemes to the provision of GDPR compliant privacy policies and international reseller agreements. Outside of the office, I enjoy taking part in various sports, especially cricket, rowing and cycling, and spending time with friends and family. NEWS UPDATE: We are delighted that Matt been shortlisted for Emerging Dealmaker of the Year at the Insider Media South-east Dealmakers 2019 awards.